We offer our clients across the nation a huge collection of Flow Control Valves, which are fitted with actuators and positioned. Recognizing the high performance it gives, our flow control valve is used widely for flow control purposes in various industries. 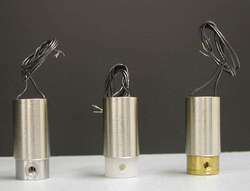 It is specially designed to maintain a constant flow with inlet pressure changes and does just the way it was built for. 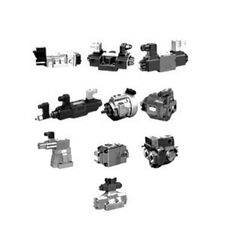 Our prestigious clients can avail from us, an excellent quality array of Fluid Control Valve. This product is manufactured using advance methodologies and technologically advanced equipment as per the set industry standards. Moreover, our quality controllers inspect this range on diverse quality parameters in order to ensure delivery of defect-free range at clients end. Available in various technical specifications, this product can be availed at reasonable prices from us. We are the prominent manufacturers, wholesalers, and exporters of a wide collection of high grade Directional Control Valves. To ensure the high standards of quality, the offered valves are manufactured using high-end tools and cutting-edge technology. 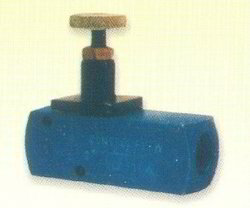 The offered valves are highly appreciated for their rich attributes such as easy installation, low maintenance, corrosion resistance, hassle free operations, and the ability to work in extreme temperature and pressure. Looking for Control Valve ?